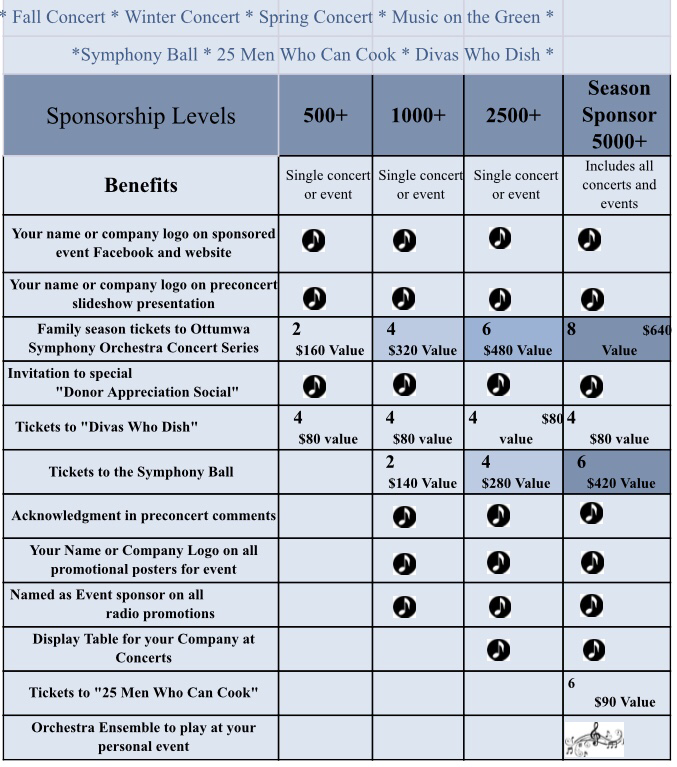 Support The Ottumwa Symphony Orchestra. More is needed than your applause. All donors will receive a Family Season Ticket. Donations at Gold or above also receive 2 tickets to the Christmas Ball. ​Any amount donated above the season ticket price is tax deductible.